This summer marks our 5 year anniversary of exploring the wonders of gasification. After 5 years of designing and doing, we’re approaching our 500th gasifier sale, and plan something special for the person who lands the 500th machine. Mr or Ms Lucky 500th purchase will get a $5,000 rebate in cash or product credit. Hey, you could actually come out cash positive on this proposition if you’re just getting a kit . . . 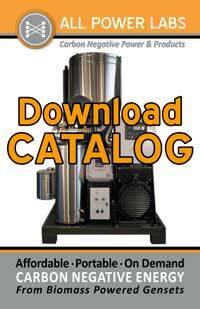 The purchase has to be a gasifier kit or power pallet. It can’t just be parts. The purchase needs to happen between now and the end of June. By June 30th we’re sure we’ll hit the 500th system purchase, so we shouldn’t tempt you beyond there. It will likely happen much before then. The definition of “purchase” is a sale initiated with payment. From tomorrow forward we will count each new incoming order with payment as one sale towards the 500th and the $5,000 prize. We’ll also celebrating our 5th anniversary with a big weekend workshop, August 9-11, here at APL in Berkeley, CA. It has been much too long since the last one, and we’re putting together a big show to make up for the long wait. More info will be provided in the next GEKnews, but plan for a multi-track weekend of science, learning and broad machinery circus. We expect 100-150 people from around the world. Please tell us if you plan to attend so we can reserve a space for you. We can also help you with visa letters and local logistics. More info on the workshop is here. Our next monthly open house is this Friday, June 12th from 5-7pm. We invite you to come see the current state of innovation and implementation at APL, washed down with gasifier-cooked pizza and cold drinks. This round we’re having two local bands powered by biomass, and an EV charging station. Feature: Fuel and filter media sifting meshes. We’re now shipping the Power Pallet with 4 grades of screening mesh built in to the packing crate. The result? Take it out of the box, then use the box to sort your fuel and filter media. Easy. No trip to the hardware store that may not exist, to get potentially the wrong mesh that will result in poor fuel sizing and run problems. Why didn’t we think of this before? Fix: New Condensate and cyclone jars. Now more ruggedized and with easier to access cyclone jar attachment mechanism. Fix: Code update to governor for smoother start up, shut down, and better load tracking. Intermittent engine backfires now resolved. Fix: New blower mounting and start up gas routing to prevent blower damage on start up errors. One replacement blower also now included with each Power Pallet so you have a back up. Feature: New Product Support. We’ve building out a larger Product Support department to better answer your questions and keep you up and running. We now have three dedicated staff and more part timers in the department to keep our exchanges current. We’re also churning out 1-2 new instructional videos a week. You can find the latest on how to Pack the Gas Filter, here. Fix: Pressure Testing and Seals. We’ve elaborated the pressure testing and seals of each Power Pallet to minimize chances of performance impacting leaks. Additional replacement gaskets are now provided standard. Pictured is APL’s Scott Garrison, who’s just back from a week in Haiti. Power Pallets are showing up in all kinds of places, and since each has a different source of fuel and other local specifics, it’s often helpful to have an expert do the set up. Many headaches can be avoided over small mistakes that lead to large problems, if you have some guidance at the beginning. We now have enough product support staff to enable regular off site trips. So we’re pleased to announce we can now offer this service on a more formal basis. The big local to do around here this time of year is Maker Faire; a sprawling do-fest of every kind of garage hacker/innovater/maker you can imagine. Words fail as to how to describe this creative baccanal–180,000 people packed in over two days, and this year was no exception. Once again, we were given a prime location, and once again were absolutely mobbed, including dozens who stopped by to say they’ve been watching our progress for years and continue to be impressed by the improvements we’ve made. The Power Pallet drew quite a crowd ( OK, it may have been the gasifier-powered margaritas, cookies, and cell phone charging as well ). A full hopper of walnut shells was all we needed–it ran nine hours non-stop on varying loads without needing refilling, and without our wranglers doing much more than standing around talking and looking good in our spiffy new tshirts. Wood-gas Tesla’s, Leafs, and Priiii. We’re pleased to announce that starting with this Open House we’ll be offering a “Free Fill Up Friday” for EV owners. Got an electric car? Come down for a 100% guilt free tank up on carbon negative energy for your ride, and pizza and beer for you. There’s no charge for the fill up, and you’ll be making an important contribution to our life cycle analysis of miles per wood chip. It was more than a little amusing to get these images of the Chairman of the Joint Chiefs of Staff being shown around the Dragon Wagon, a mobile gasification energy generation platform developed by Utah State University. 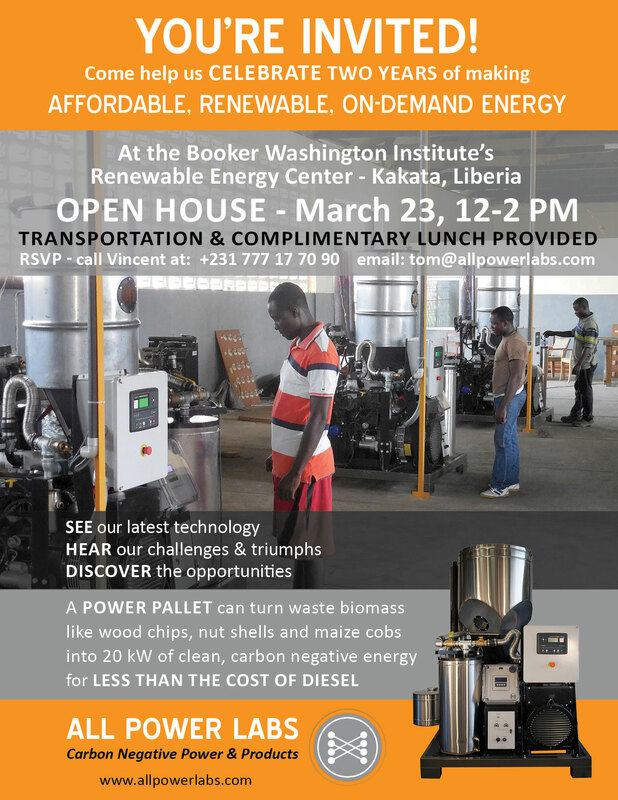 ALL Power Labs is starting a quarterly series of free gasifier workshop weekends to help bring more people to successful operation of small scale gasifiers. These workshops are open to GEK user/owners, as well as anyone with any other type of gasifier- or just a budding interest in the whole thing. If you have a GEK and want personal instruction in how to run it, or you want to build a GEK with oversight from the mothership, this workshop will be a great opportunity to do either. The workshop begins with an evening talk and discussion on the science of gasification and a survey of its design and production history. Both beginning and expert reactor assemblies will be presented, with pointers to further reading and current issues and opportunities in the field. Everyone will get a packet with lots of explanatory graphics and core data charts relating to gasification. As you know, we’ve generated a few of these . . . 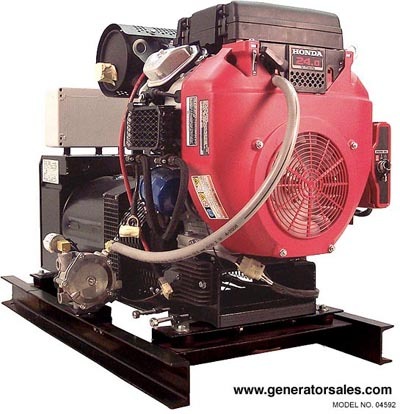 The main project for our October workshop will be converting a Honda V twin 10kw genset for wood gas operation. This will be a belted unit for lower rpm running, with automated mixing and speed control. This is the genset scenario most of us have agreed on of late as the best option for small scale wood gas systems, and the one which we will soon be making available in conjunction with the basic GEK. People can also use the weekend to colonize our shop tools and build their own GEK, or any other biomass thermal conversion device of interest. If you get a Level III GEK kit can weld it together over the weekend. You will get close to done, but not likely all the way (unless you are good). If you get a Level IV kit, you can assemble and run it on site, and learn the ropes before taking it home. We have limited space for this workshop, so if you want to join us, please RSVP to jim (the at sign) allpowerlabs.org. If you want to fly in from non-local places, know that we do have flat floors and soft couches for camping on site if needed. I hope to see many of you soon in the belly of the nanny state beast (aka: Berkeley, CA).